For civilization to thrive, is social control a necessity? Perhaps, but we must be mindful of people and groups who seek to manipulate us to our detriment. Social control. It sounds very 1984-ish, doesn’t it? It is, in some ways. In others, it’s natural and understandable. It's something that is always pulling at you – the social equivalent of gravity. Even from long distances, it has an effect. And it comes from everyone. When we think of “social control,” we get the idea that there’s some monolithic, maleficent force specifically targeting us and trying to get us to bend. Yes, there are diverse and powerful organizations which are trying to control you. It could be a news station, a top-followed Instagram account, a religious body, or a government. Those organizations include individuals, all of whom have personal agendas, both hidden and open. Those people may all pledge allegiance to a common goal, but even then, the purity of their commitment to the group and their interpretation of that group’s goal may differ, person to person. If a group of people aligns tightly with a singular goal, or at least the messages they deliver (e.g., a news station’s regular broadcasts) echo this singular goal or plan, the effectiveness of that social control is heightened. Given your life experiences, and by doing some imaginative math about how many different groups are trying to control you, it is clear that you are being pulled in many directions. The way I see it, even more confusing is that none of these groups are evil or good. Of course, you have a moral stance and will judge various influences as good, neutral, or evil, but from a bird’s eye view, there is simply an array of consequences that occur because of your actions and everyone else’s actions. I’m not here to moralize, but I am here to argue from the point of this website’s goals. There are social controls that inhibit your sexual freedom and ability as a man to forge his destiny. I’m here to point out some of the biggest influences that attempt to control you, as I believe them antithetical to the goal of having a free and abundant position in the sexual marketplace. 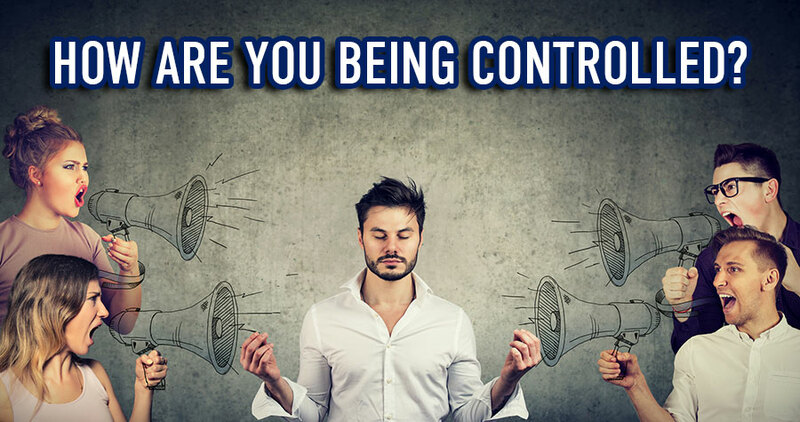 There are hundreds of influences being thrust upon you every day, but here are 14 of the most powerful social controls that I believe you should be aware of and resist, as they inhibit your ability to be the best man you can be. These social controls try to do one thing: convince you to adopt a belief. If they can convince you that X is bad and Y is good, then you will follow their agenda or reinforce their worldview. It’s that simple. To make you aware of social control, I will explain what “they” try to make you believe, the motivation behind that attempt at social control; I'll provide examples of who will try to convince you of this control. As you’ll see, “they” can’t actually stop you from doing what you want, and in most cases, they can only convince you – through shame and fear – how to act. This article is probably my favorite article of yours Hector. This thing is a piece of beauty, loved every bit of it! One of the main things I learned is that it's OK to be angry. The example of a friend gaming the main character's girl is similar to something I went through a month ago. I was right to get angry myself in my situation.